Octogenarian senior citizen, prolific actor and former President of the Screen Actors Guild Edward Asner was born Yitzhak Edward Asner on November 15, 1929 in Kansas City, Missouri and turns 87 on this day in 2016. Enjoy this Ed Asner, Carroll O'Connor, and William Conrad chapter excerpt below from the new book by Herbie J. Pilato (publishers Rowman & Littlefield), DASHING, DARING, AND DEBONAIR: TV's Top Male Icons from the '50s, '60s and '70s. Jackie Gleason was the first major heavy-set superstar of the television age. He would be followed to some extent by Fred Flintstone in animated form on The Flintstones, the popular cartoon series that landed in primetime eons before The Simpsons. In fact, The Flintstones had been loosely based on The Honeymooners segment on The Jackie Gleason Show. But around the time that The Jackie Gleason Show was winding down in 1971, CBS premiered The Mary Tyler Moore Show, which introduced TV audiences to what would become several male icons: One was Ted Knight, a strikingly handsome actor who had worked for years in supporting roles on shows like The Twilight Zone. Years after his Moore stint as the egotistical TV anchorman Ted Baxter (who was outmatched in self-absorption only by his even more strikingly handsome younger brother played by Jack Cassidy [father to stepbrothers David and Shaun Cassidy], Knight would find fame in the 80s as the harried husband to Nancy Dussault and father to Lydia Cornell and Deborah Van Valkenburgh on Too Close for Comfort (which later transmuted into The Ted Knight Show). Gavin MacLeod, once known as merely a co-worker to Moore's Mary Richards, would later lead the cast of The Love Boat on Saturday nights at 10:00p.m., and John Amos was weatherman Gordy Howard, a role he would leave for the popular Norman Lear sitcom, Good Times, which he would also leave in a contract dispute (amid the ever-increasing popularity of his on-screen son Jimmie Walker as J. J. "Dynomite" Evans). But the most popular male icon on The Mary Tyler Moore Show was none other than Ed Asner, who played the gruff Lou Grant, Mary's boss, good friend, and almost-lover (at least in one episode that toyed with the idea). Like Gleason, Asner had a little extra weight on his frame, which was slightly smaller than Jackie's. But also like Gleason, Asner's slight paunch did not derail his popularity or success as an actor. A working thespian on the stage and screen for decades before being cast as Lou Grant, Asner appeared in countless plays and TV shows, including Route 66 and Hawaii Five-O (the original and recent updated edition). Over the years, on the big screen or small, he's portrayed his fair share of Santas in Christmas feature films and TV-movies. After leaving The Mary Tyler Moore Show, he suited up once more as Lou Grant for a spin-off series of the same name, which became the first one-hour weekly drama to spawn a half-hour sitcom. Because he was now the lead in his own series, network executives and producers thought it might benefit his Grant persona (as well as potentially his own real-life health) if he slimmed down for the role. He did so, but the shift in body weight was not fully embraced by his fans. So he packed the pounds back on, and once more he became a fest for the eyes of his fans. Unfortunately, Asner's personal politics got in the way of Grant's success, and the show was cancelled. But the actor has not stopped working since, delivering his usual top-level performance, even if only lending his voice to animated feature film classics like UP! from 2009. Asner describes his most famous character: "He wasn't sappy. he was a straight-shooter. He was tough, but kind. He had his limits - and I would say that's always the defining mark in the creation or development of a character...finding balance." Like so many of his male TV icon colleagues, such as Robert Wagner and David Selby, Asner credits the writers with giving him good material to work with. "It all starts with the scripts," he says. "Good writing has to come first, before an actor can properly interpret a role, a story, or a situation." On the Moore Show, that would be series creators James L. Brooks and Allan Burns. Before, during, and after Moore, Asner has made hundreds of appearances on stage, film, and TV, including classic performances alongside Martin Milner and George Maharis on TV's Route 66, created by Stirling Silliphant, who also wrote most of the show's compelling episodes. "He was a genius," says Asner. 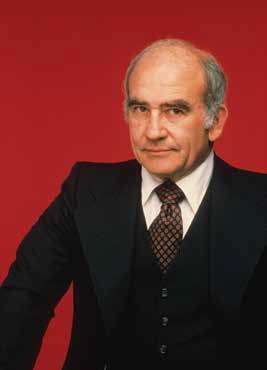 Other great performances of Asner's were in TV-movies like The Gathering (ABC, 1977), or the ground-breaking mini-series, Rich Man, Poor Man (ABC, 1976), based on the novel by Irwin Shaw. Here, Asner played the hardened Axel Jordache, father to the show's two main leads: Peter Strauss, who played Rudy, the "rich man," and Nick Nolte, who played Tom, the "poor man." Asner's Axel could be described as Lou Grant on steroids, or as the actor puts it, "an example of a tortured individual who slapped around his sons, but at the same time offered subtle implications of his deep kindness." Asner says his acting "benefited greatly from the story's translation from book to screen" because the character of Axel was given more texture in the TV adaptation." Into this mix of slightly overweight actors personified by Asner come Carroll O'Connor and William Conrad. While O'Connor didn't exactly play the most heroic of roles with Archie Bunker on All in the Family, this loudmouth bigot of a character hit a chord with viewers of the transitional 70s, when war, peace, drugs, rock and roll, and any other controversial topic could hit the airwaves. If something needed to be debated, rest assured O'Connor's Archie would take his stand on his own little Bunker hill, confronting issues in opposition to Rob Reiner's Michael "Meathead" Stivic, Archie's liberal son-in-law, married to daughter Gloria (as played by Sally Struthers). Debuting on CBS in the summer of 1971, All in the Family also featured the Emmy-winning Jean Stapleton, who played Archie's seemingly dim-witted, but ultimately fully functional housewife and independent woman of every means. After Stapleton decided to leave the series (insisting that Edith die to do so), O'Connor continued playing Archie in the spin-off series, Archie Bunker's Place, which originally aired from 1979 to 1983. Place found a measure of success, but with Edith now gone, and Mike and Gloria now divorced and nowhere to be seen (beyond a periodic guest appearance), it just wasn't the same. 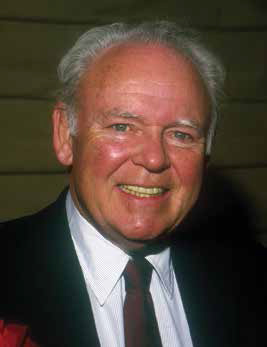 But O'Connor made his mark as Archie Bunker, only to turn the audience on their heads when he resurfaced on a regular series role in the late 80s and early 90s as William O. "Bill" Gillespie, in the TV edition of In the Heat of the Night (the 1967 film version of which featured Rod Steiger). It was an exact opposite role to Archie, and O'Connor reveled in the opportunity not just to distance himself from the Bunker part, but to prove his diversity as an actor. Of course, he had already done that before starring in All in the Family, with guest-shot appearances on TV shows like That Girl (in which he played a self-absorbed Italian opera singer), and in motion pictures (like 1963's Cleopatra). But for the TV audience, the switch from bigot Archie to the compassionate police officer in Heat (with a mostly all-black cast of characters), was a triumphant career move for the actor. 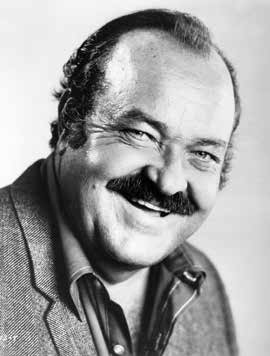 Before and after O'Connor played Archie, his fellow weight-challenged acting colleague William Conrad was heating up the entertainment industry with voiceover work on the radio. Entertainment historian and author Randy Skretvedt, aka Randy Brian, host of the popular classic radio show Forward into the Past (www.kspc.com), hails Conrad as "one of the most prolific and prominent radio actors of the late 40s and early 50s." Conrad was particularly prominent on CBS' long-running series Suspense! and Escape. Radio listeners would recognize his distinctive, deep voice on The Adventures of Sam Space, The Lux Radio Theatre, Mister President, The Whistler, and many other series. He finally got the chance to star when producer Norman Macdonnell tested him for the leading role of Sheriff Matt Dillon on Gunsmoke. Originally Macdonnell didn't want Conrad for the part, because he seemed to be everywhere on radio. After testing many other actors, Macdonnell conceded that Conrad was the perfect voice for the part. Indeed he was, and Gunsmoke became one of the greatest of all radio series, despite the fact that it made its debut after television was eroding the medium's audience. It ran from 1952 to 1961. Conrad and his radio co-stars wanted to appear in the television version in 1955, but the perennially overweight Conrad was vetoed in favor of handsome James Arness. Conrad was also an imposing presence in movies, appearing as a hit man who dispatches Burt Lancaster in The Killers (1946). In the late 50s and early 60s, he concentrated on directing for television, although he returned to vocal acting ans the intense and tongue-in-cheek narrator of the Rocky and Bullwinkle cartoons for Jay Ward. He did a great deal of narration for television in the 60s and 70s as well (notably on The Fugitive), but the success of the series Cannon (CBS, 1971-1976) and Jake and the Fatman (CBS, 1987-1992) revived his on-camera career. Conrad retained such fond memories of his fellow radio performers that he couldn't bear to speak about them later in his life after so many had died. When Leonard Maltin wanted to interview Conrad about his radio work, the actor replied that he would consent only if Maltin got him a VHS copy of the 1939 film Of Mice and Men. Maltin quickly found a copy, and Conrad reluctantly consented. He was a vintage movie buff with a large collection of films; studio head Jack L. Warner gave him the title prop from The Maltese Falcon as a token of gratitude for his work at Warner Bros. The prop sat on a bookshelf in Conrad's home from the 1960s until he died in February 1994. It was auctioned and brought $398,500. Through it all, Asner, O'Connor, and William Conrad redefined the word "heavy" when it came to character descriptions in television. 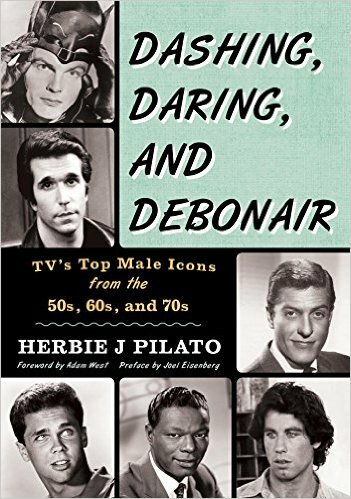 Purchase DASHING, DARING, AND DEBONAIR: TV's Top Male Icons from the '50s, '60s and '70s, look for it in bookstores, or purchase it online here.